Still in their twenties, the guys of Lifehouse have a resume that many twice, or three times their age would struggle to assemble with 5 million albums/10 million digital singles sold in the US, 2 platinum/2 gold albums, 3 albums in the top 10 of Billboard Top 200, four #1 radio hits, and 7 more in the Top 10. A mouthful to say the least. Founding members Jason Wade and drummer Ricky Woolstenhulme Jr. met in Los Angeles and formed the band in the late 90s. 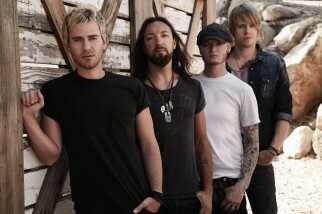 Lifehouse released its smash debut No Name Face in 2000, which launched them to global stardom. Their breakout single “Hanging by a Moment” was the single most played radio track of 2001. In 2002, Lifehouse released their follow-up album Stanley Climbfall. Since then, they have released three more albums: the eponymous Lifehouse in 2005, Who We Are in 2007, and Smoke and Mirrors in 2010 (which yielded 2 top 10 radio hits and #6 Billboard Top 200 album). These albums have spawned the singles “You and Me”, “First Time”, and “Whatever It Takes”, which have all been top 40 hits in the US. Hot on the heels of, Smoke and Mirrors, comes their 6th studio album, Almería. Their premiere single, Between The Raindrops, has created quite a buzz already on the music scene, and is a clear indication of their growth over these past 10 years. Ready to prove themselves as more than their past hits, Lifehouse has packed up their gear and hit the road to play for all, crowds large and small. 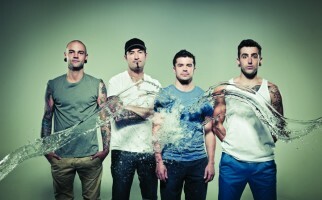 Hedley are a pop punk band from Vancouver, British Columbia, Canada, formed in 2004. The band originated in Abbotsford, British Columbia. They were named after the town of Hedley, British Columbia, a name chosen after members heard that it was for sale for $346,000. While the idea of buying the town ran its course, the name remained. The band has gone through a few member changes but they are strong with their current lineup of drummer Chris Crippin, guitarist/singer Jacob Hoggard, guitarist Dave Rosin, and bassist Tommy McDonald. After playing together for nearly a decade, the group is tighter than ever on their fourth and most recent album, Storms. The groove soaked album is credited to the groups deepening personal relationships. From sold-out arena shows cross-country to the group’s 15 Juno award nominations, Hedley’s intense musicianship and penetrating lyrics have made them something like a wildly popular cult act – a group not to be missed.